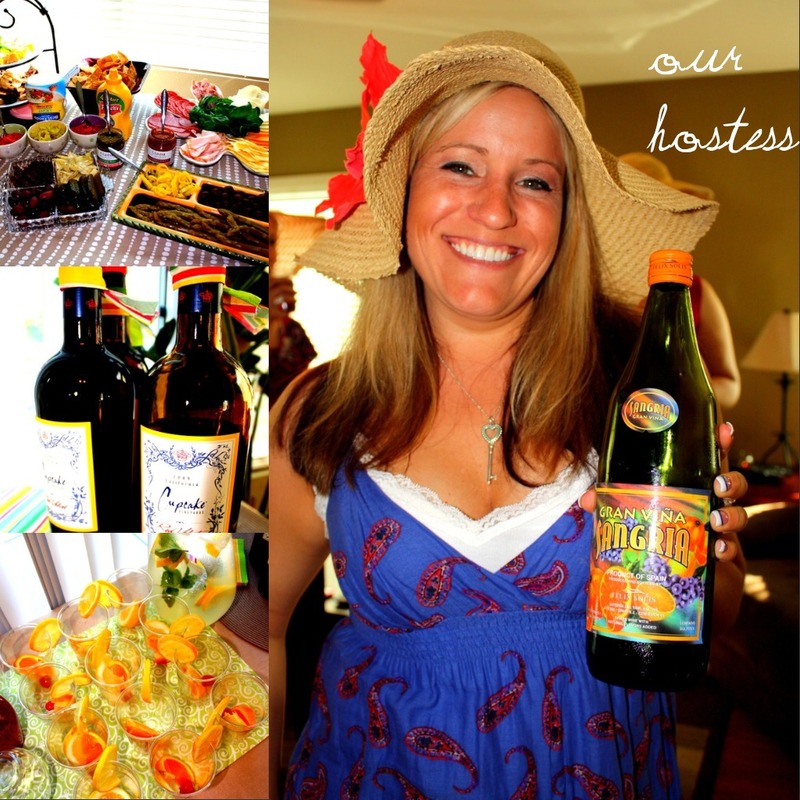 This month's theme was 'Ladies that Lunch' and on the menu: Panini, finger foods, wine, and sangria! Thanks, Michelle, for hosting... it was a blast! Do you have a bunco group?? Any fun themes? I loooove your new header too, j'adore ! LOVE the hats! :) Looks like a great party! Girl, I love Drunko...LOL. Looks, like a great time. 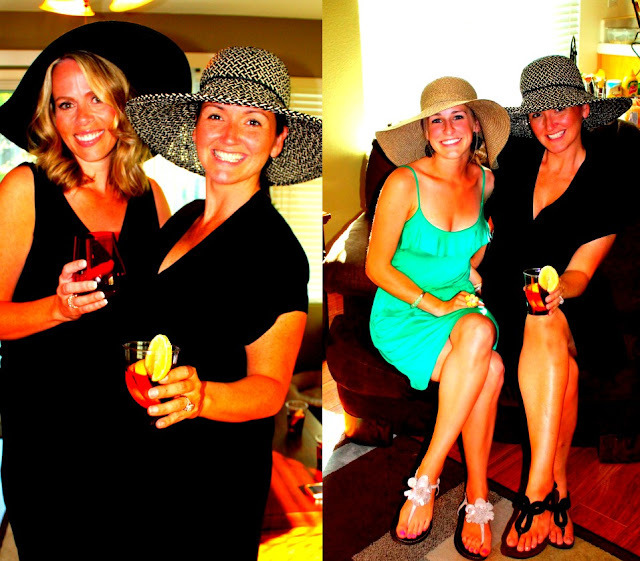 Love that you're all wearing floppy hats! Looks like fun. Esp the Sangia, yum! Our spouse's club does bunko during the year! It's always so much fun. That looks like a really fun theme! Looks like you ladies have alot of fun!! & great theme! that sounds like so much fun! I am loving your dress-where did ya get it?? I wish I lived near you. You seem like you have a great group of girls to do fun things with! Ya'll looked adorable!! :) Cute pics! Those hats are amazing, looks like such a fun time! Love the hats! Bunco is so fun, or as Val calls it Drunko ;) Too funny! I love the hats! I wish I had a bunco group... it's so much fun. Looks like y'all had a blast! Love all the hates! I want to be in bunco! Thanks for stopping by Domestically Deficient. 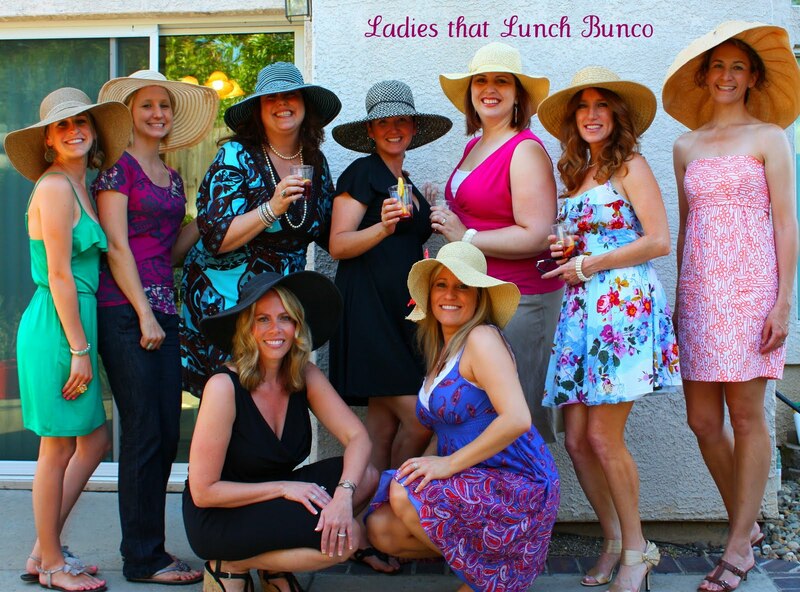 This bunco group looks like fun. LOVE the hats! Love the hats! What a fun idea! i've been wanting to get into a bunco group but the two that know of meet when I work! looks fun though! cute photos! I'm starting with a bunco group in August! I can't wait! this looks like so much fun with the hats!!!!! Great idea! Everyone looks like they had a good time. I love the hats! Love the hats! Looks likes a blast! love it! anything involving large floppy hats is always fun. im embarrassed to say i have NO idea what bunco is LOL!!!!! I've heard of people playing Bunco but I have no idea how to play. But I've heard it's fun! Looks like y'all have a great time! And I love the hats! What a fun theme to have! Bunco is such a great way to get everyone together and have some cocktails! Oh my goodness, you look SO adorable! I love your dress, shoes and hat!!! Where do find such cute outfits? I've never played Bunco, but I would LOVE too. Ah you guys are all so cute..
you are so darn cute!!! i love love the hats on you and your bunco girls. this looks like such a BLAST! love all of the fun, glamorous hats!!! i actually first learned of Bunco watching the real housewives of orange county. it looks like a lot of fun and good way to get all your friends together. how fun! this makes me want to start playing bunco! Aw, fun Trace! Love the theme! i seriously contemplated buying a straw hat at target today, hahaha. I think you've convinced me to go back. Tracy, don't judge, but what's a "bunco"? Either way, you all look gorgeous! Ok... I want to start a bunco group SOO bad!! It sounds like so much fun! Love the pictures! You girls are adorable!! I noticed the cupcake wine in one of this pic! I was just looking at it at Target, how is it? ?